Posted on 24, August 2016 by EuropaWire PR Editors | This entry was posted in Art & Culture, Automotive, Entertainment, United Kingdom and tagged Mohammed Kazem, Renowned Emirati artist, Rolls-Royce Art Programme in 2016, sculpture. Bookmark the permalink. CHICHESTER, 24-Aug-2016 — /EuropaWire/ — Rolls-Royce Motor Cars announces further details of renowned Emirati artist Mohammed Kazem’s new commission for the Rolls-Royce Art Programme in 2016 and presents a series of images and video content documenting his experience. Kazem will create a commissioned sculpture for the Art Programme, which will be presented in late 2016 alongside a Bespoke motor car inspired by the sculpture. 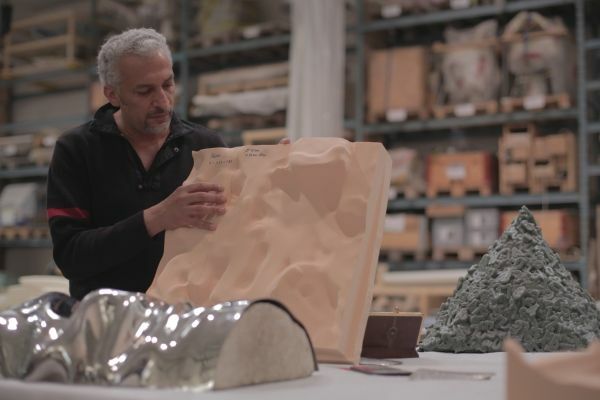 Supported by Rolls-Royce, Kazem has been working with an artistic production team at Sitterwerk studios in Switzerland on the creation of the sculpture, giving him access to cutting-edge technology and leading expertise.